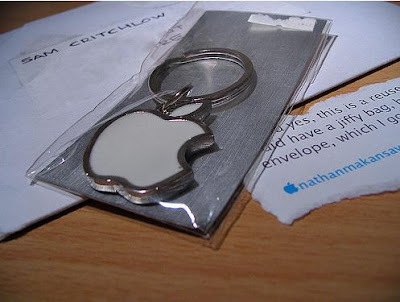 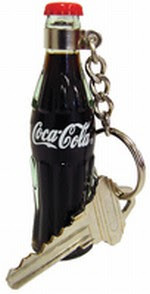 Collection of ‘Creative and Cool Keychain Designs’ from all over the world. 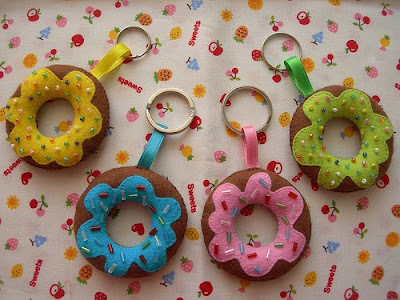 Keychain Plants: You can carry tiny plants inside your keychain. 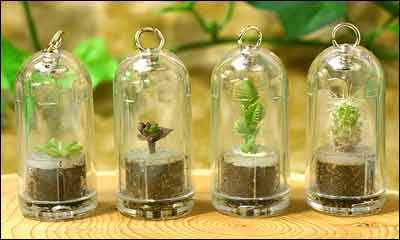 And once they outgrow (3-6 months) they can be replanted to a larger pot in your home or garden. 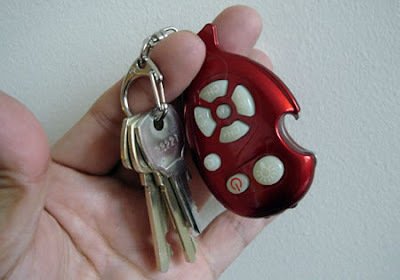 Multi-Gadget Keychain: It combines a flashlight and a universal TV remote control with a bottle opener. 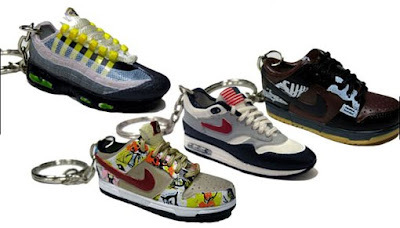 Sneaker Keychains: These keychians are based on some of the popular Nikes including the Nike 95 Air Max, the Nike Paris Dunk, the Nike Air Max 1, and the Nike Zoo York Dunk. 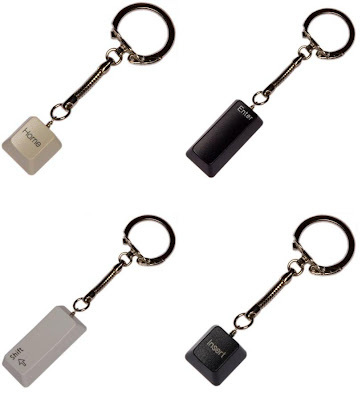 Tiny Robot Keychain USB Drive: Designed just like a robot this keychain USB drive has 4GB storage memory capacity, measures 75 x 62 x 13mm and weighs 60g. 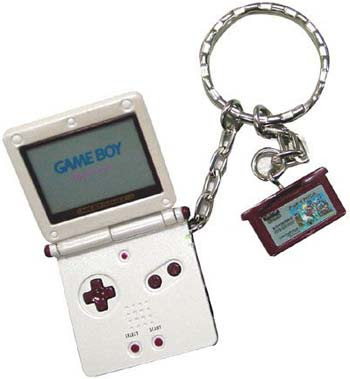 It is priced at $25, and is available in silver chrome color. 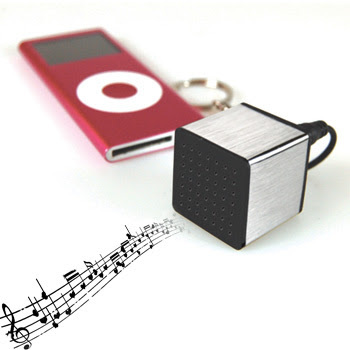 Keychain Speaker: It's compatible with any device that features a 3.5 mm (1/8 inch) headphone socket - like MP3 players, portable systems and computers. 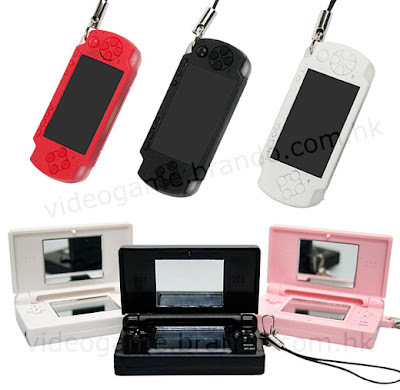 Apart from this it comes with a USB connection included to recharge it. 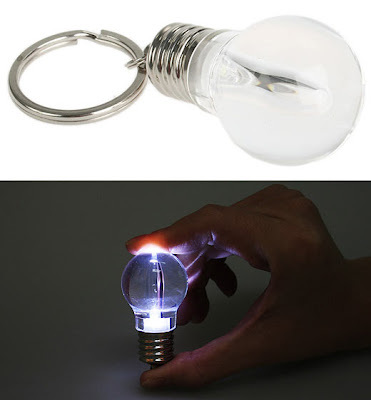 Light Bulb Flashlight Keychain: Creative flashlight that looks like a regular light bulb. 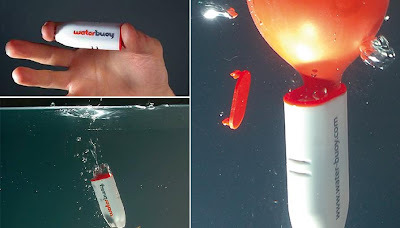 Water-buoy Keychain: This little smart device can lift up to 1Kg (2.2 lbs) and keep them floating for up to 24 hours. 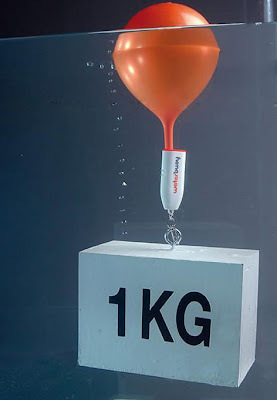 It contains a rubber balloon that automatically inflates when dropped in water and makes the dropped items to rise gently to the surface. 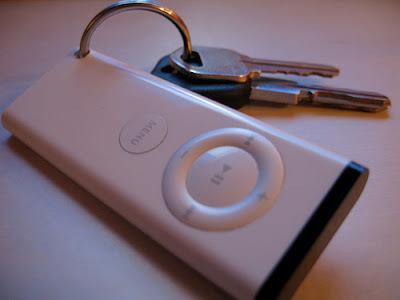 Moreover it's equipped with a flashing light that makes it visible from a distance of over 250 meters (820ft) at night. 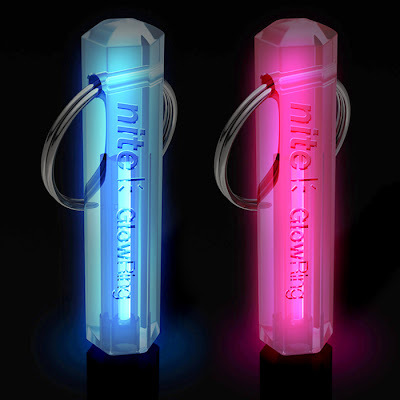 Nite Glowring: These glow for up to a decade, they are small and tough, can be attached to anything you might need to use in the dark; a bunch of keys or fishing gear and camping equipment or things that only come out once in a while. 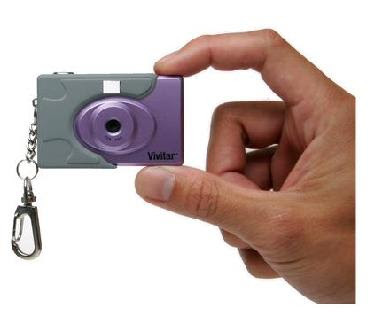 3-in 1 Mini Digital Camera Keychain: This one is small enough to be put on a keyring and can be used for taking pictures, video or as a webcam too. 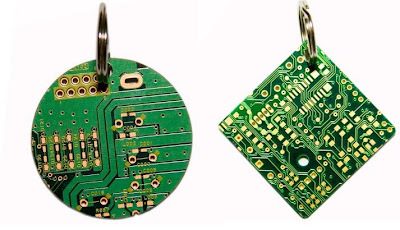 Tennis Ball Keychain: A fun way to hold your keys. 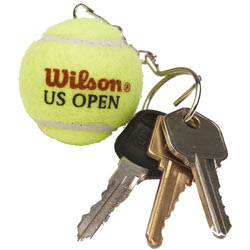 Miniature tennis ball looks and feels like the real thing. 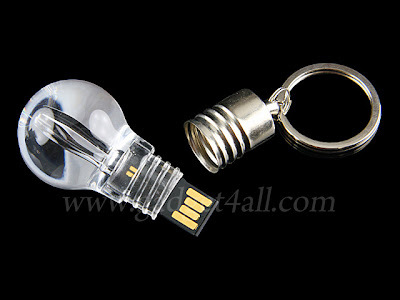 4GB Light Bulb USB Flash Drive Keychain: Designed like a light bulb and small enough to be part of a keyring, it can carry up to 4GB of your most important files. 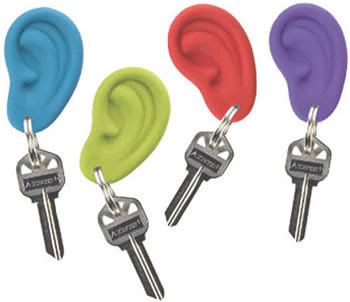 Ear Ring: A Keyring in the shape of an ear and your key being the "earring". 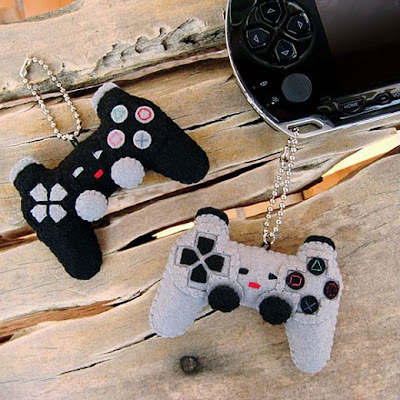 Tiny Felt Playstation Controllers Keychains: "Created by textile artist Rabbitrampage, each keychain-size controller is hand sewn from felt and stuffed with fiberfill." 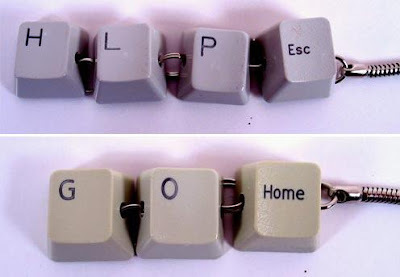 Computer Spare Keychains: Creative way to use old computer parts. 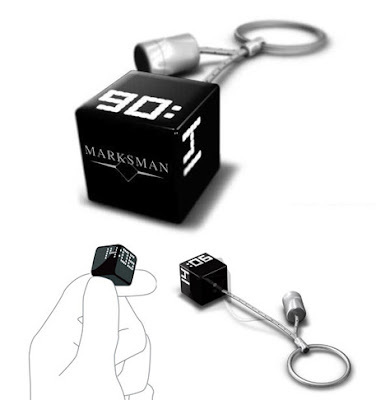 (Image credit: 1. 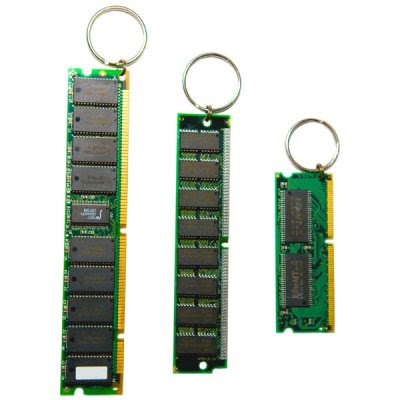 2, 3, 4).